Rockwool Group begins construction of the factory of mineral wool in Prahova county, a project involving an investment of about 50 million. The constructor selected by ROCKWOOL for the development of its first production unit in Romania is CON-A, one of the largest construction companies with Romanian capital, with more than 25 years of experience on the local market. The ROCKWOOL plant will be located on an area of ​​about 30 hectares in the Ploiesti West Park industrial park in Aricestii Rahtivani, near Ploiesti, and will generate about 150 direct jobs and another 300 indirectly for services and logistics. "We are glad we can start the works for this factory, we know how much our customers expect. This production unit is primarily a commitment to them, will help us get closer to their projects in Romania and deliver them faster the products they need.The beginning of the construction comes in a good context. We see a growing demand for our products that help buildings save energy, be safe from fire and provide increased comfort. Thanks to the authorities for their support, we are glad that they understood the importance of this project for the local economy and community, "says Florin Popescu, Business Unit Director, ROCKWOOL Balkans. Mineral wool production at the ROCKWOOL plant near Ploiesti will start in 2019. Most of the raw materials will come from Romania, and the logistics and labor force services directly employed by ROCKWOOL or subcontracting companies will be mostly local. Supervision and management services for the construction work will be provided by Blue Projects. 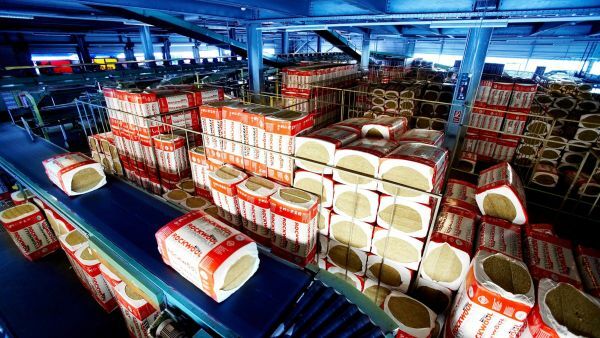 The ROCKWOOL Group announced at the end of last year the investment in a basalt mineral wool plant in Prahova County, part of its plan to open new production capacities in the United States, Sweden and Romania. Import si distributie de termoizolatii pentru constructii.